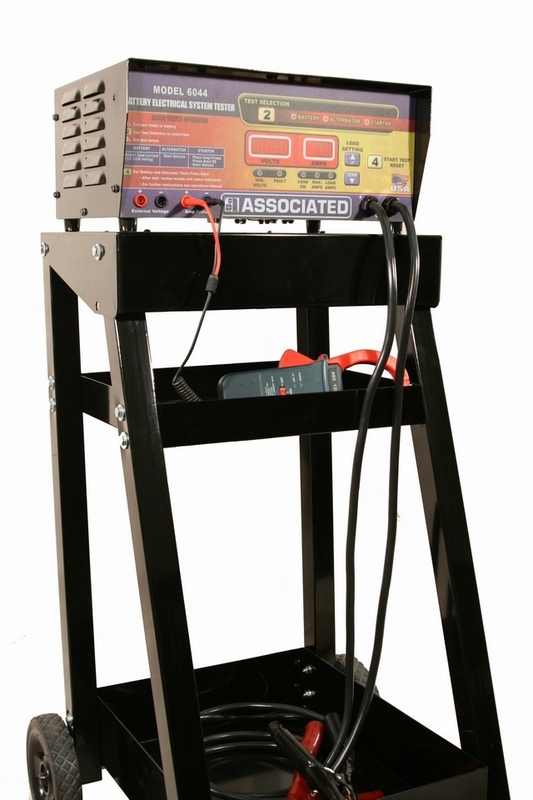 An automated battery testing unit that uses no dirty, maintenance-prone carbon piles. Just enter the discharge current, press the “start” button and the 6044 will perform the BCI battery test automatically giving the most accurate means of testing a battery. 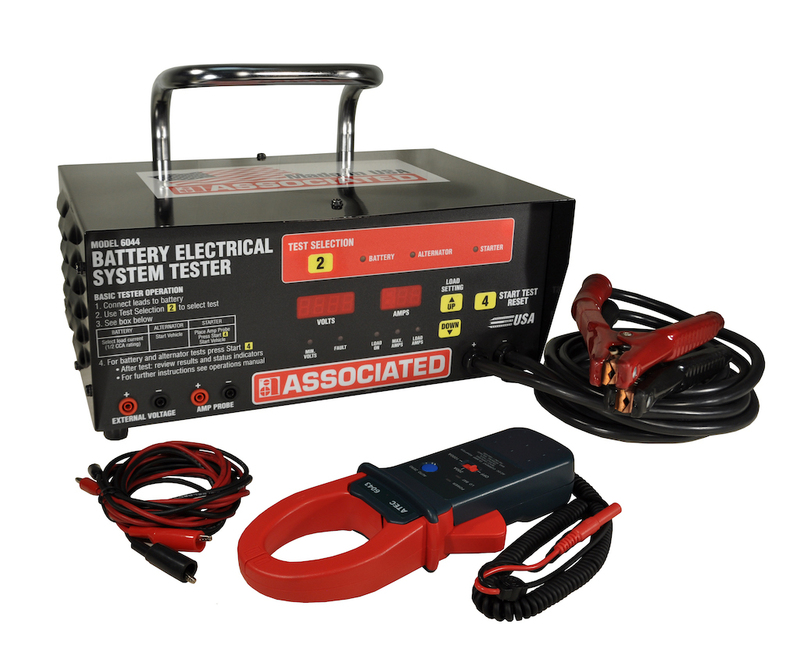 Testing for the alternator and starter has also been automated, simplifying the use of this very versatile electrical tester. 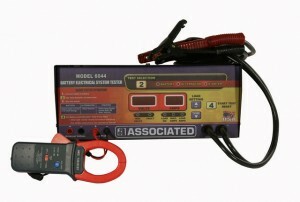 The 6044 also comes with external voltage leads which can be used to record the maximum and minimum voltage readings allowing for easy testing of electrical systems (including testing differential voltages). The unit also comes with a detachable inductive pickup (6043) which can be used to read current throughout the electrical system. The tester will also record the minimum and maximum current values turning many two person operations into a single, individual job. with alligator clips for tight spots. coating to protect from moisture and dirt. • Testing of 24V electrical systems. • Automated 500A fixed load.